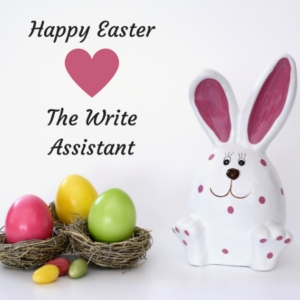 Home » Copywriting » Easter Giveaway – No Joke! It’s been far, far too long since I’ve posted and for that, I must apologize. You see, life often gets wild when we least expect it and sometimes it can be difficult to juggle multiple balls at once. We had a few health scares in the family and, well, tax season is upon us so that’s always an overwhelming time for entrepreneurs. Chances are, if you are reading this, you’ve been in a similar situation. You’re doing the best you can and then BOOM! LIFE! It happens. That doesn’t mean we don’t push forward day after day to find ways to improve, learn, and better ourselves. I’ve been maintaining the Facebook group and page, donating my time in several coaching programs, and studying for a potential switch in my clinical career. I’m still looking for ways to balance. Now that the dust has settled for the family health concerns, I’m back and ready to hit the ground running! 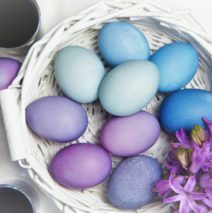 For my first post back in a few weeks, I’d like to thank everyone for their patience with an Easter giveaway; no joke! All you need to do is hop on over to my Facebook page and share with me your favorite Easter traditions. If you don’t celebrate, that’s OK too! How do you enjoy the arrival of spring? Your warm weather holidays? Let’s start the second quarter strong and work together to make it the best one yet! If you aren’t into free giveaways (but really, who isn’t? ), then you’re welcome to ignore it completely but what I would love from you then is suggestions and requests for topics. I’d like to see this blog bustling again and it’s meant to serve you, dear reader, so request away and I’ll make it happen!